Modern medicine has become so complex, bureaucratic, and forbidding that it’s little wonder that patients—already ailing—don’t grasp the risks and consequences of treatments they prescribe. Overwhelmed patients also don’t demand that doctors fully brief them. And shame on physicians for failing to help patients more in this critical area of caregiving, two doctors have written in an excellent New York Times Op-Ed column. The doctors—Mikkael Sekeres, director of the leukemia program at the Cleveland Clinic, and Timothy Gilligan, director of coaching, Center for Excellence in Healthcare Communication, at the Cleveland Clinic—deserve credit for calling out colleagues while describing the vital health care concept of informed consent. My firm has detailed information on this important patient right in health care (click here to see). As I’ve written, informed consent is a fundamental patient right. It isn’t just signatures and initials on piles of paperwork. It is the duty of anyone who provides you any kind of medical treatment. All of us have a right to decide what happens to our own bodies. That includes medical care. But this is a right that many scared patients are quick to give up. They want to surrender decisions to doctors, not realizing two critical facts: Doctors may have very different values. They may not, for example, put as much emphasis on whether a surgery disfigures the body if it offers a slightly higher chance of a patient’s living some uncertain additional amount of time. Doctors also may have conflicts of interest that make it hard to give objective advice. For example, they may make a lot of money if you opt for their surgery and no money at all if you make a different choice. 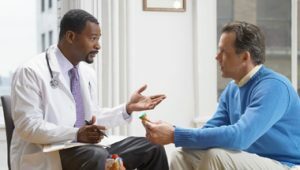 Because MDs are just as flawed and imperfect as everyone else but know a lot more medical facts than most lay people, the law and medical ethics place a simple duty on every doctor: Give patients the important facts so they can make intelligent decisions about what treatment to have and where to get it. That’s why informed comes before consent. Information comes first. Consent is meaningless without the facts. Informed consent is about building a bond between doctor and patient through a candid dialog that doesn’t leave out anything important. Patients, medical ethicists say, want to make a leap of trust with professional caregivers. But trust is built on honest information. It’s not a leap of blind faith. Sekeres and Gilligan note how challenging it can be, though, for doctors and patients to achieve informed consent, including because caregivers, through habit or for their convenience, can be haughty and disinclined to discuss, much less to engage patients in their treatment. They say they both have nodded, numbly, when asked as patients themselves whether they understood what would happen to them in their medical care. They say that the process is even more daunting for patients hoping to participate in clinical trials, where eager volunteers may be slammed with 25-page, single-spaced legal documents that are nigh impossible to get through. Ask for best-case, worst-case, and most likely scenarios, along with the chance of each one occurring. These sound to me like excellent ideas. In my practice, I see how patients seeking medical care suffer significant harm, and an important aspect in their ability to get justice and the often significant financial and other support that they will need for a long time can turn in court on the issue of informed consent. Doctors are human, fallible, and they’re not gods in white jackets. Patients have the right to know what will happen to their lives and what can go right and wrong with medical services. They shouldn’t sell themselves short on so crucial a concern.